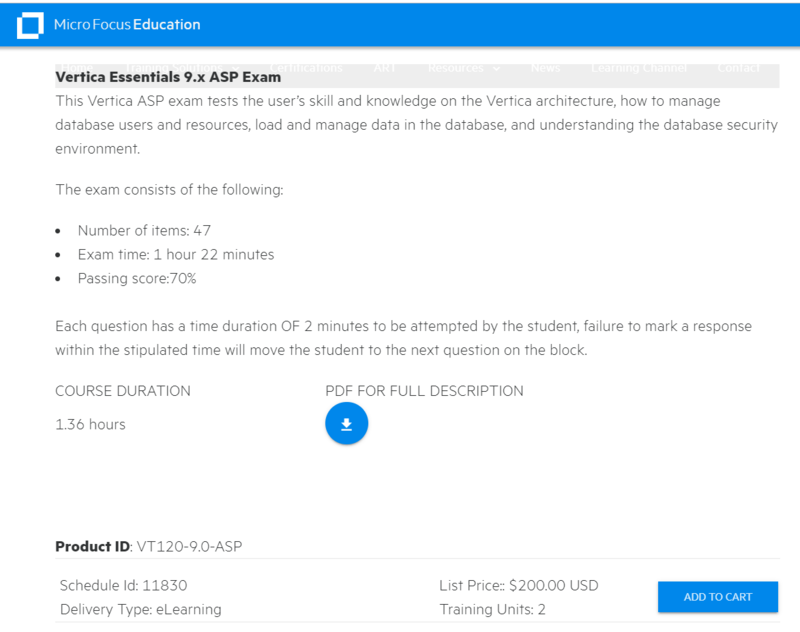 Vertica Essentials 9.x ASP Exam on MICROFOCUS, but the process doesn't seem straightforward, for instance i can't find the exam listed in the calendar for upcoming exams, also can I register to the exam without having to take the VT120 Vertica essentials course? @elghali : I have informed the concerned team and they are currently fixing it. I will update this thread once I receive confirmation. @elghali - Did you register and take the exam? Search for the key word "Vertica". Now add it to your cart!